"During the Nabucco-TAP contest, the European Commission had insisted that the winner project would "open" the Southern Corridor, strongly implying that the other project would be implemented next. According to this logic, the two projects could be sequenced; the contest over Shah Deniz gas would merely determine the order of sequencing Nabucco-West and TAP; and they would coexist in the future, each supplying Caspian gas to different parts of the European market, once a trans-Caspian pipeline from Turkmenistan materialized. That logic, however, is not being borne out now. There will not be another iteration of Nabucco-West without guaranteed supply sources and financing. Connecting the Caspian basin with Central Europe will be a matter for a post-Nabucco project. This will require a stronger consortium and more credible leadership than has been the case until now." "The Continental European Gas Hub at Baumgarten near Vienna will continue to suffer from limited competition to the Russian gas flooding the terminal. Nabucco gas would have introduced a greater element of competition, contributing to the development of spot-market pricing. With Nabucco's defeat, however, Gazprom will continue to dominate the price-setting process in Central Europe." Russia has promised to upgrade its military base in Armenia, while also helping to bolster Armenia's own air forces, as controversy continues to brew in Armenia over Moscow's huge weapons delivery to foe Azerbaijan. It's not clear to what extent the former is tied to the latter, but Armenian analysts say that Russia does appear to be trying to assuage public opinion among Armenians stung by Russia's apparent betrayal. Secretary General of the Collective Security Treaty Organization Nikolay Bordyuzha was in Armenia last week, and though details were scarce, he appeared to endorse a CSTO base in that country, as well as creating a Caucasus-based CSTO air force. 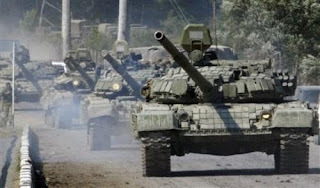 Central Asia preparing for war? 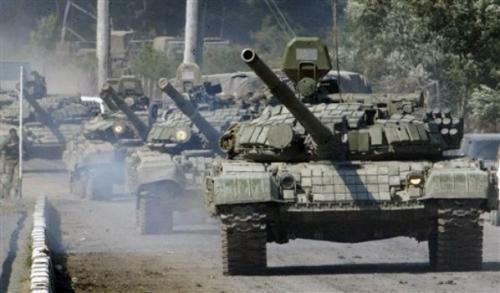 In 2014, the deliveries of Russian military equipment to Kyrgyzstan will begin. Russian Defense Minister Sergey Shoigu confirmed this at a recent meeting with President Atambayev in Bishkek. Shoigu said that the program on supporting and equipping the Kyrgyz Army had been worked out almost completely. In 2012, Moscow promised Bishkek aid in the amount of $1.1 billion in order to modernize its army. Some analysts believe that Russia renders assistance to Kyrgyzstan and Tajikistan with the purpose to counteract Uzbekistan. Meanwhile, by supplying Uzbekistan with weapons, NATO plants a time bomb that could blow up the whole region. It is evident that, once again relying on Karimov's authoritarian regime, the Pentagon is trying to undermine the integration process of Central Asian countries and Russia. The strengthened position of Uzbekistan in the region can weaken the influence of Kazakhstan as a key ally of Russia. The reason is clear — enhanced military power will allow Tashkent to solve problems from a position of strength. Thus, the region, armed by both Russia and NATO, can not count on peace and stability yet. Beijing wants to ensure stability in Kyrgyzstan in order to prevent a further deterioration of the situation in Xinjiang. Touching upon the upcoming growth, President Atambayev also spoke about security issues. Particularly, in his words, the rearmament of the army will start in two years. “We will have a strong army and borders. Kyrgyzstan will be a strong country. The country’s law enforcement bodies will be reformed and the borders will become reliable over the course of two years,” KirTAG quotes him as saying. On June 28, 2013, representatives of USAID’s Office of Transition Initiatives (USAID/OTI) together with local government officials and residents of Talas celebrated the opening of the newly rehabilitated Talas Local Crime Prevention Center (LCPC) #2. A group of alleged members of the banned Islamist Hizb-ut Tahrir group have been arrested in Kyrgyzstan's southern province of Osh. Nine representatives of the U.S. Army Special Forces Central Command headed by senior instructor Jeremy John and forty Kyrgyz soldiers of special forces share their knowledge during a month. The President underlined extremist ideas spread by certain groups who are interested in the situation destabilization in the country. “According to available information, there are around 80 families of our citizens stay in the province of Waziristan in Pakistan. You know, what people go there for,” he said. As for the crimes committed in the country, there are individuals among criminals who went through the ceremony of hajj and received the sacred title of Haji. “For example, for the entire 2012 and 5 months of 2013, 50 Haji committed crimes. 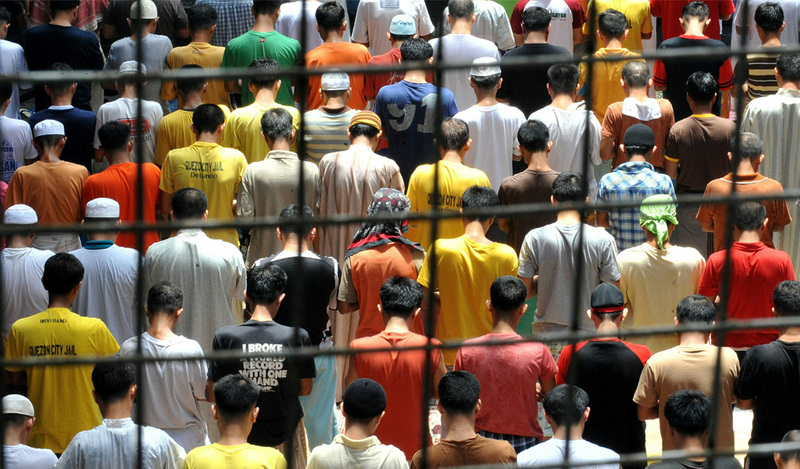 We opened many madrasah and religious schools in the country to ensure our children receive proper religious education, but dozens of young people, especially those who have been trained in madrasah abroad, are convicted of terrorism. Some of them bear responsibility for their actions abroad, some of the them – here,” President Rahmon continued. "So fundamentalists from the Central Asian countries move to Russia, where they feel themselves free," Silantyev said. He also pointed out to Kazakhstan positive experience in struggling against "prison Jihad" - spreading radical Islamism among convicts under influence of fundamentalist cellmates. "In Kazakhstan they made special prisons for the latter, thus isolating them from other imprisoned. If Russia has special colonies for former officials of the law enforcement agencies who committed crimes in order to isolate them from other convicts, why can't we set up the same prisons for Wahabis?" the religious expert wonders. 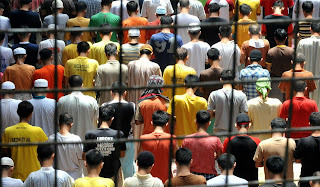 Two illegal Uzbek migrants have been caught at a closed down mosque under construction in Pyatigorsk, Interfax reports. Experts say that the building does not meet construction standards and is dangerous for people. The mosque construction was prohibited in November 2012. The building was not legally registered. The security agencies in Russia and other former Soviet republics have been involved in abductions, illegal extradition and torture of thousands of citizens of Central Asian states falsely accused of Islamic radicalism, international human rights watchdog Amnesty International said this week. President Vladimir Putin signed a law into effect that denies foreigners or stateless persons who have been declared persona non grata in Russia and people who have been involved in what have been judicially qualified as extremist activities the right to found a religious organization. Nongovernmental organization (NGO) Golos, would transform into a new legal entity with the same function as before, its deputy head Grigory Melkonyants told RIA Novosti on Thursday. 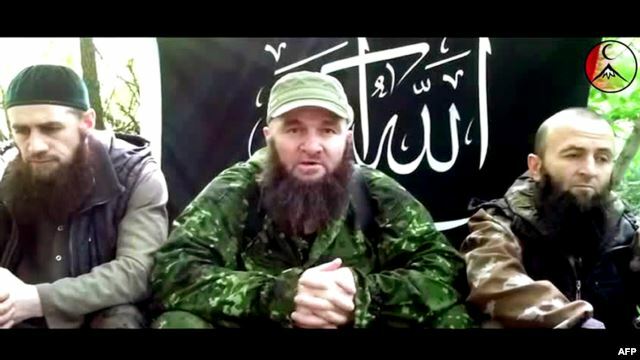 In a video issued on the North Caucasus Islamic insurgency website on July 3, Doku Umarov -- the leader of self-proclaimed independent Islamic state, Imarat Kavkaz (The Caucasus Emirate), called on "all mujahedin fighters in the region and Russia's other subjects not to allow Satanist games to be held on the bones of our ancestors, on the bones of many, many Muslims who died and are buried on our territory along the Black Sea." In a harsh response to Umarov’s threats, Chechen leader Ramzan Kadyrov vowed on Wednesday to eliminate the notorious warlord before the start of the Sochi Olympics. “He is Satan. I am certain that we will eliminate him before the Olympics,” Kadyrov said. 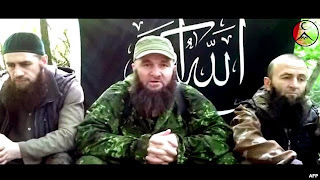 He added that Umarov’s threats were “an empty talk” aimed at keeping people in fear as terrorists continue to lose influence among residents in North Caucasus. There is always the threat of a terrorist act during large-scale events such as the Olympics, Georgia's Foreign Minister Maia Panjikidze said on Wednesday, commenting on the call by 'Caucasus Emirate' leader Doku Umarov to his fighters to disrupt the Olympic Games in Sochi. The minister stressed that Georgia has officially expressed its willingness to cooperate with Russia on security matters during the Sochi Olympics. Accusation of Georgia of supporting the North Caucasus terrorist started in the late 1990s. The discussions became intensive after the events in the Lopota Gorge near the village of Lapankuri in the north-east of Georgia (near the Russian-Georgian border). In late August 2012, according to official Tbilisi, its special services destroyed a group of 11 Chechen militants who came to Georgia from Dagestan. The problems of the regional security especially ahead of the Sochi Olympic Games is one of point of contact between Russia and Georgia; and a constructive dialogue is possible even now. Honest investigation of the mentioned events can contribute to normalization of the bilateral relations. Georgian officials say French-born actor Gerard Depardieu "violated Georgian legislation on occupied territories" by visiting Georgia's breakaway region of Abkhazia. 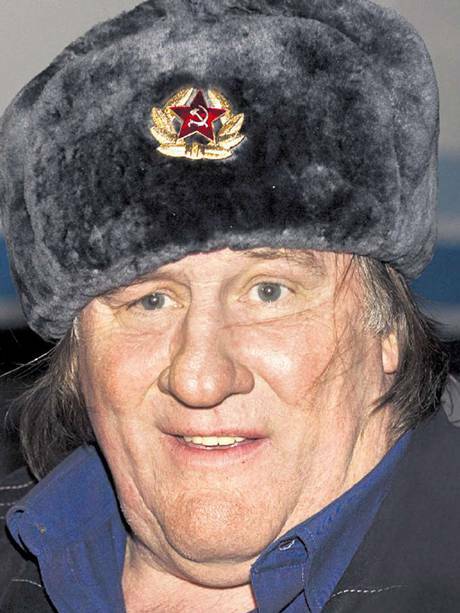 Tsikhelashvili added that Depardieu's action is "punishable" as it violates Georgian law. The incident is the latest in a recent string of clashes in mostly calm Chechnya. Two policemen were killed and 17 injured in a firefight with militants Saturday, while two soldiers died in a roadside blast on April 28. Such center is necessary for effective resistance to the Afghan drug aggression, especially considering the 2014 problem (withdrawal of Western troops from Afghanistan), Ivanov noticed. Britain has been accused of abandoning a Foreign Office employee who says he was tortured by the Uzbek authorities and accused of spying for London, reported The Independent. Kayum Ortikov, 44, a married father of four who worked for the British government as a security guard, ended up in a dungeon in Tashkent after being arrested on charges of "human trafficking". It appears the extent of his "crime" was trying to help arrange visas for some relatives to work in Russia. Mr Ortikov claims that his refusal to become an informant for Uzbekistan's secret police led to torture sessions in which he was accused of spying for the British.